The environment ministry said the increase came despite an increase in its budget and in operations carried out by its environment agency Ibama. “We need to increase the mobilisation at all levels of government, of society, and of the productive sector to combat illicit environmental activities,” environment minister Edson Duarte said in a statement. But the government appears to be heading in the other direction. After falling for several years, deforestation began rising again in 2013, the year after leftist president Dilma Rousseff approved a new forest code which gave an amnesty to those deforesting on small properties. Deforestation has risen in four of the six years since then, including in 2016, the year Rousseff was impeached and replaced by her former vice-president Michel Temer. Temer has made further concessions to powerful agribusiness interests in return for support from its congressional representatives – including approving a measure that legalised land that had been squatted in the Amazon, a common deforestation driver. Last year Temer backed down on measures to reduce protection to a national forest called Jamanxim and a protected area called Renca after protests from environmentalists, supermodel Gisele Bündchen and even singer Alicia Keys at the Rock in Rio music festival. Moves like these signalled the Brazilian congress was no longer concerned about deforestation, said Astrini, encouraging deforestation. “We feel in our field work that these deforestation gangs are very confident they will get amnesty or that they are covered,” he said. 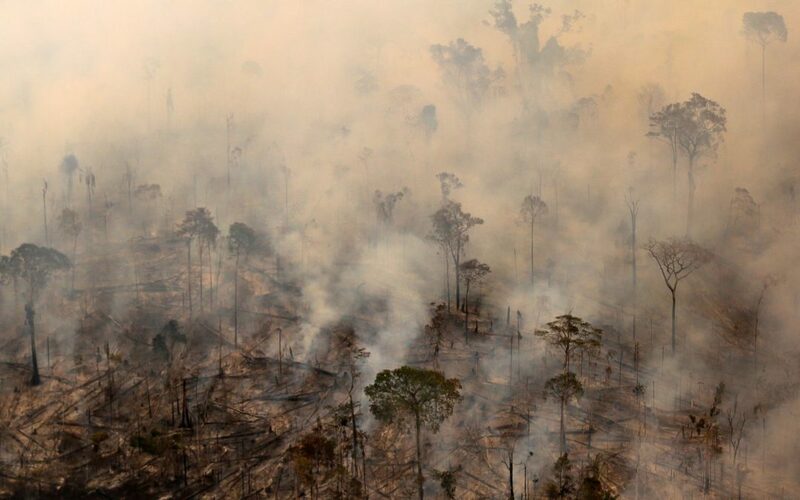 It also expects deforestation to worsen once Jair Bolsonaro’s new government begins. He has frequently attacked what he calls the “fines industry” of agencies such as Ibama, and wants to allow mining in protected indigenous reserves – some of the Amazon’s least-destroyed forests – and even considered making the environment ministry part of the agriculture ministry. Bolsonaro has enjoyed support from agribusiness and his minister of agriculture will be headed up by Tereza Cristina, head of its Congress lobby. Bolsonaro only backed down on plans to withdraw Brazil from the Paris climate deal because agricultural producers argued the move risked boycotts from European consumers, local media reported. “If the problem is in politics and politicians and their power of decision, they need to be pressured,” Astrini said.